Kick start the summer with a mouthwatering tropical coconut cream cake. Nisha shows how this can pass off for a celebration cake. Or if you’re looking for a treat for tea time, then adapt them into pretty cupcakes with piped frosting. When it comes to cakes, I love a simple vanilla cake with none of the jazz and over powering flavours. 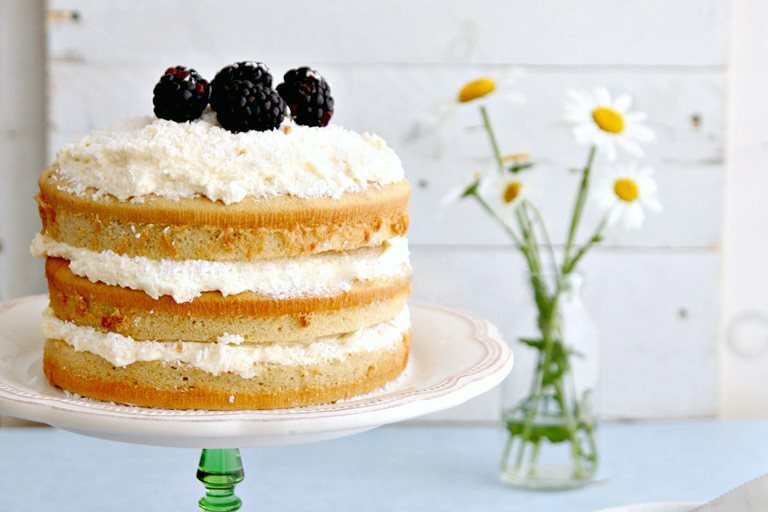 I also love vanilla cakes because they are so versatile. You can fill them with jam or cream or top them with fruits or soak them with syrup, the options are endless. I have these cake-craving days and its usually the plain ol’ vanilla cake that makes its way through on such days. Then there are the days I’m craving cake, but I’m also in the mood for some elaborate baking. And its on one such day that I decided to go all out and bake a coconut cream cake. For us South Indians, coconut is part of our staple diet. We use it in a lot of curries and stir fries and most of us have a pack of frozen coconut stashed away in our freezer. Although I’m a big fan of coconut in curries and such, I’m not too fond of them in a sweet dish. So, apprehensive that I was with the final outcome of the coconut cake, I decided to give it a go, especially after I tried this really nice coconut loaf cake in a cafe in Holborn. And since I’m a sucker for tall, elegant looking cakes, it had to be one that made an impression. I decided to halve one of my favourite blogger, Tartelette’s recipe and set off baking. 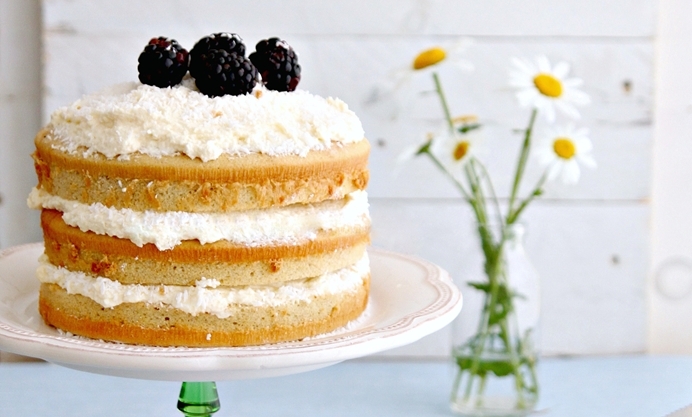 Here’s kick starting summer with a tropical coconut cream cake.